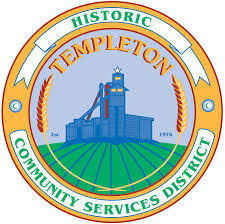 –The Templeton Community Services District Board of Directors held a Mid-Year Review and Strategic Planning Session on Saturday, Jan. 23, 2016 to review goals set for the 2015/2016 fiscal year. The Board of Directors worked diligently with key district staff to assess the status of goals to ensure district residents and businesses are provided with excellent service. In February the board adopted minor changes to the goals as depicted below. If you have any questions or comments contact Jeff Briltz at the District Office at (805) 434-4900. Board meetings are held on the 1st and 3rd Tuesdays of the month at 7 p.m. Go to the district’s website at www.templetoncsd.org for further information. 1. Water – Enhance reliability and availability of water resources. a. Conclude full subscription of Nacimiento water. b. Complete policy on supply to demand ratio (buffer) and pursue as time permits (other) high priority components of the Integrated Water Resources Strategic Plan that quantifies supplies, identifies key actions, and develops needed policies to implement them. c. Be an active participant in the potential development of an independent Atascadero Basin Groundwater Sustainability Agency (GSA) based upon designation status. 2. Wastewater – Improve wastewater operational safety, reliability, efficiency, and financial sustainability. a. Prioritize and implement operational improvements (odor control, solids removal, pumping performance, Selby effectiveness, discharge source identification) as funding becomes available. b. Research funding strategies (grants, loans, development fees, and/or rate adjustments) for build out, East Side Force Main, and other projects. 3. Financial Sustainability- Develop a long-term approach to CSD’s financial needs with effective policies to fund CSD service delivery. a. Consider opportunities to contribute to reserves in FY 2015-2016 without significantly impacting service levels. b. Create policies on reserves, funded replacement, debt issuance, and obligations for new development to contribute for FY 2016-2017. 4. Strategic Relationships – Pursue collaboration opportunities with other entities to enhance service to the community. a. Monitor issues that affect Templeton and advocate for Templeton CSD’s interests. b. Be proactive in working with elected officials and staff in the County, school district, and other entities to leverage resources. c. Update agreement with Templeton Unified School District to expand public access to recreational facilities. 5. Fire – Enhance sustainability of emergency service delivery. a. Continue to optimize current emergency service delivery. b. Decide upon longterm direction for organization and delivery of 7-day a week fire service based upon determination of community funding support and engagement of the public on an ongoing basis to develop sustainable solutions. c. Continue to evaluate and implement efficient alternatives for response to routine calls for service. d. Participate in the county disaster preparedness plan with appropriate training for CSD staff. 6. Parks and Recreation- Maintain current level of support for parks and recreation. a. Sustain (financial) support for special events and youth sports. b. Complete the Comprehensive Parks and Recreation Master Plan to evaluate needs and opportunities. c. Identify financial options (including possibilities for partnerships with county and others, adopt a park, development agreements, parcel tax, etc.) to provide additional resources to augment/enhance parks and recreation opportunities.